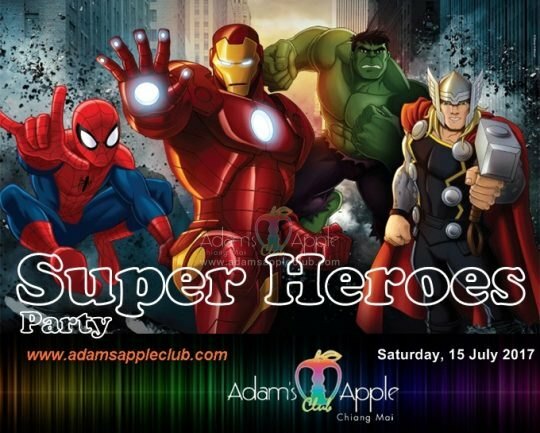 Saturday, 15 July 2017 our next Party of the months „SUPER HEROES“ @ Adamss Apple Club. 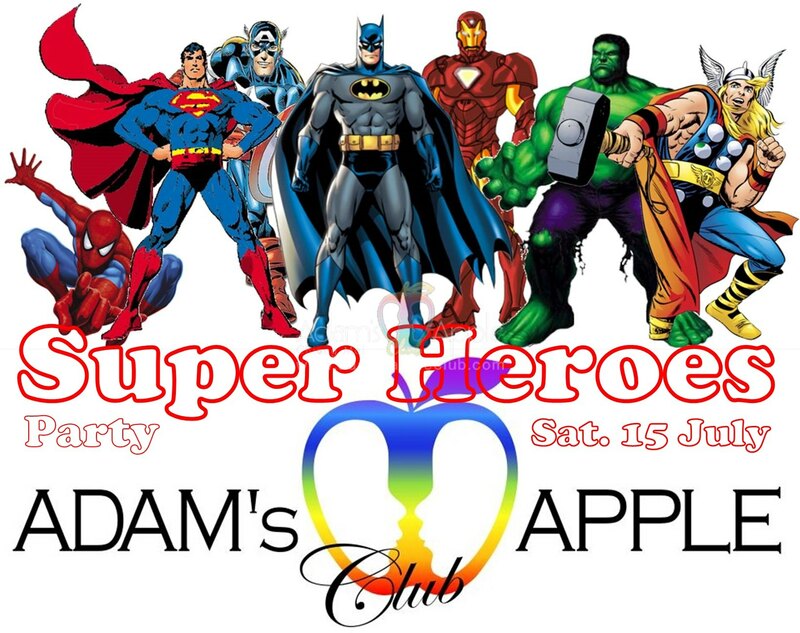 See You to our SUPER HEROES PARTY @ Adam’s Apple Gay Club Chiang Mai. You will have a grat time @ Adam’s Apple Club Chiang Mai, the best Gay Bar in Chiang Mai, with the hottest boys and the best Shows in town.